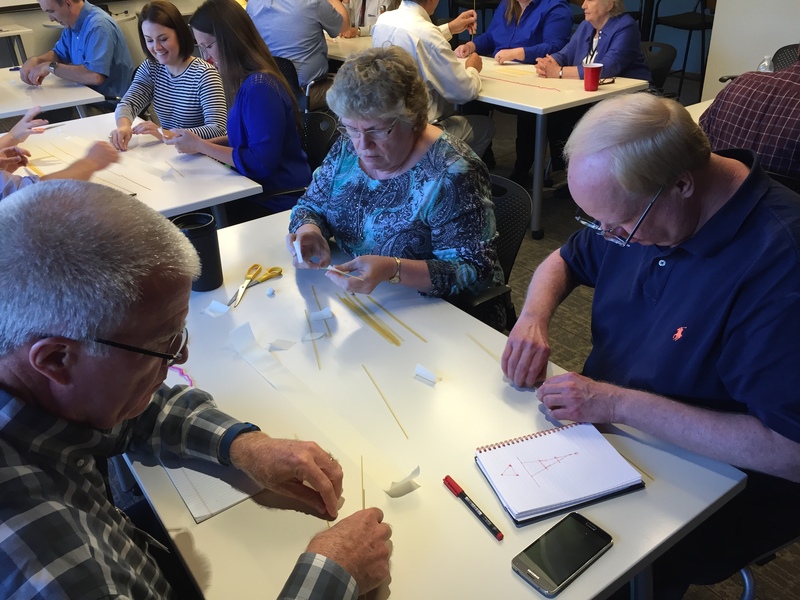 When looking for a great team-building exercise, we stumbled on the Marshmallow Challenge which was first introduced by Peter Skillman at a TED talk several years ago. The Marshmallow Challenge gives a group of four people 18 minutes to construct the tallest freestanding structure using a few strands of uncooked spaghetti, one yard of tape, one yard of string, and one marshmallow. The marshmallow needs to be on top. We decided to use this exercise in lieu of a presentation during our August monthly staff meeting. 1. Collaboration is important. Working together as a team will allow you and your teammates to accomplish amazing results. 2. Focus on the task at hand and don’t be distracted by your surroundings. Concentration is a powerful tool that helps to accomplish great things effectively and efficiently. 3. Identify assumptions and test them early and often. Trial and error gives you the opportunity to problem solve and find the best solution. 4. Make room for creativity. Creative ideas lead to innovative conversations and unique results. Some succeeded; some didn’t, but we all had fun and learned to listen more, try harder, and laugh more at ourselves!